A Sports Set for Genesis for use in Daz Studio 4. 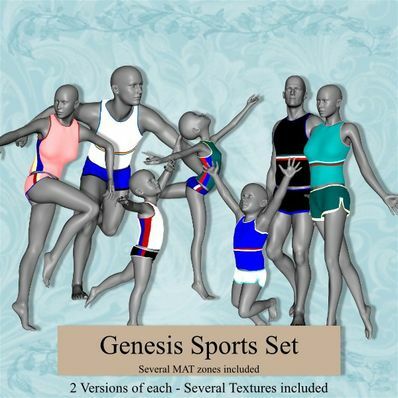 A Sports Vest and Shorts in 2 styles for Genesis. It's not perfect by any means, but will work with most poses and shapes. Thank you. Some nice G wear for me to learn with. Marvelous sports set, they really look great, thanks for those MAT zones, just so generous.